PARIS, March 19. /TASS/. The results of Sunday’s presidential polls in Russia and incumbent president Vladimir Putin’s landslide victory demonstrate stability of Russia’s democratic system, the French National Front party said in a statement on Monday. "The National Front conveys congratulations to Vladimir Putin on his reelection as Russian president. This major success at the elections demonstrates Russia’s stability and commitment to democratic values, shows the Russian people’s willingness to continue to follow the path of reforms launched by President Putin, who managed to bring this key power back to the global arena several years ago," the party said. 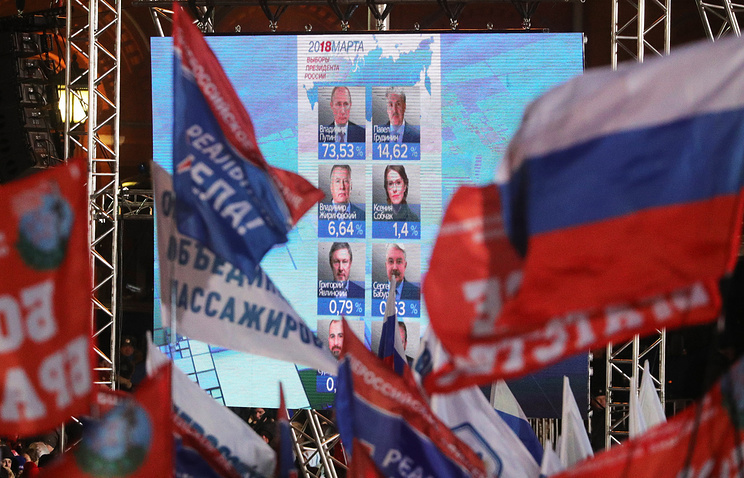 According to the party, the results of the Russian presidential polls send a clear signal to the European Union. "These elections should force the European Union to revise its approaches and put an end to the absurd policy of blackmailing, threats and sanctions. The European Union and France will gain nothing from a trade war that runs counter to our economic and strategic interests," the National Front stressed. The statement calls on Russia and Europe to get back to the path of constructive and mutually beneficial dialogue. "We must stop considering Russia as an enemy and build dialogue with an ally we need in our efforts against terrorism and our common enemy - Islamic State (a terrorist group outlawed in Russia - TASS)," the party emphasized. 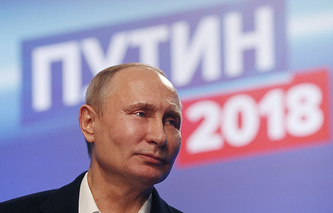 According to preliminary data of the Russian Central Election Commission, after counting 99.84% of ballots incumbent Russian President Vladimir Putin is scoring 76.66% of the vote at Sunday’s presidential polls.